Thanks to our super star community contributor, Vinod Kiran, score cards are coming to Drools 5.5. Initially the PMML4.1 standard is embedded for the Scorecards module. We have a full standalone PMML implementation coming for 6.0, being worked on by Dr Davide Sottara. I hope that Vinod will write a full tutorial in this blog soon, explaining the feature in more detail. A scorecard is a graphical representation of a formula used to calculate an overall score. A scorecard can be used to predict the likelihood or probability of a certain outcome. Drools now supports additive scorecards. 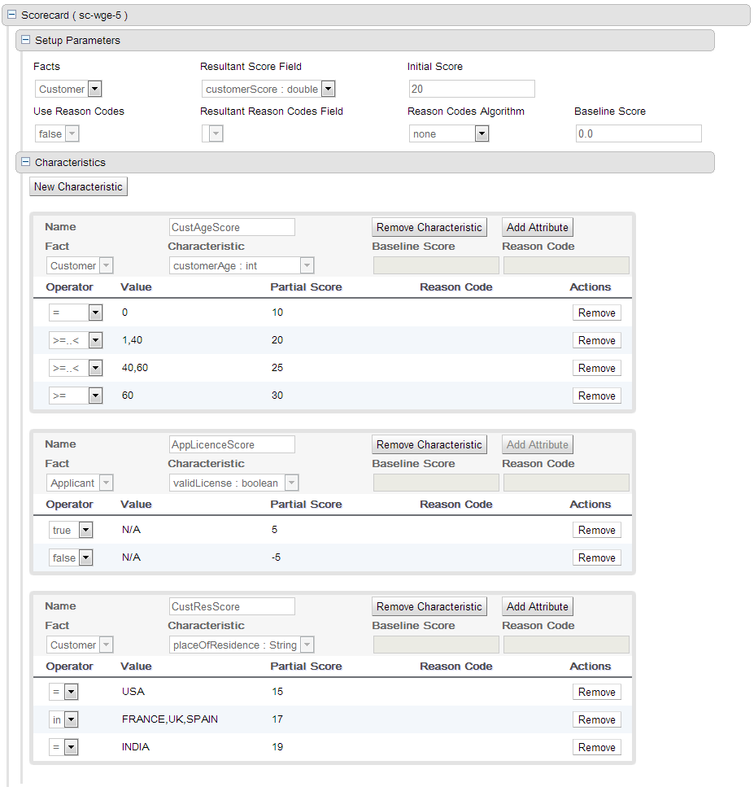 An additive scorecard calculates an overall score by adding all partial scores assigned to individual rule conditions. Additionally, Drools Scorecards will allows for reason codes to be set, which help in identifying the specific rules (buckets) that have contributed to the overall score. Drools Scorecards will be based on the PMML 4.1 Standard. Thanks Vinod Kiran, this looks really excellent! Scorecards is probably compatible with Planner's score implementation using Drools Expert: this creates an interesting alternative to defining the score function with classic DRL rules or decision tables. Great!!! I was waiting for something like this months ago, after Davide Sottara suggested me to mix Drools with PMML. It's something that now I will use for my Master's Thesis. Mixed these technologies with multi-agent systems, the agent will have a powerful knowledge base. But one question? It's currently available on Drools 5.5 final? I'm waiting for some tutorial. I want to be the first guest to try the tutorial. did u get the chance to have drools+pmml working example?